For The MacDowell Colony, considered the nation’s leading artist residency program, founded in 1907, there has never been a more important time for art and artists. The organization has a campus of 32 artist studios in Peterborough, NH, and many initiatives underway to increase its support of artists. 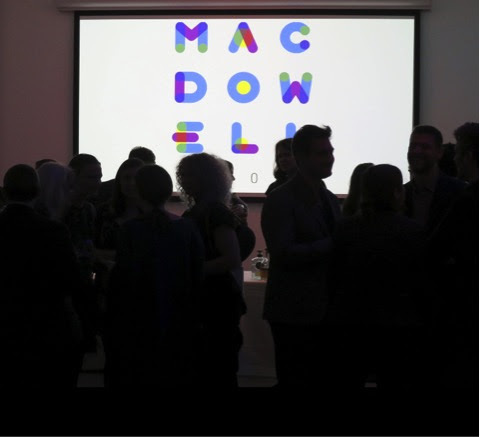 The MacDowell Colony has always had offices in New York City, but it is now launching a gathering space in the heart of Chelsea at 521 West 23rd Street, steps from The Highline. With more than 1,500 MacDowell Fellows of all disciplines in NYC alone, and over 8,000 globally, the new space will provide an opportunity to intersect and exchange ideas. The versatile new space, designed pro bono by Fred Clarke of Pelli Clarke Pelli, will be used for panel discussions, works in progress, performances, exhibitions, screenings, readings, presentations, conversations, and celebrations. Through MacDowell Now, a yearlong celebration of the organization as a pioneer in its field, the first residency program in the nation, and a leader in the contemporary arts, MacDowell is amplifying its commitment to art and artists. MacDowell has increased its program by 30 percent to over 300 fellowships each year and will use the platform to drive support for initiatives such as increasing support for journalism, bringing greater equity and diversity to the arts, increasing financial support for childcare, and reducing other barriers to a residency. Events at MacDowell’s new space in New York will include gatherings small and large, public and private, to engage artists and the larger public in dialogue about important issues across artistic disciplines. Partnering with the Racial Imaginary Institute to host an evening for participants in their biennial symposium with MacDowell Fellows Claudia Rankine, Monica Youn, and Nell Painter, among others. Some events are open to the public, and others by invitation or registration. Some recognizable MacDowell Fellows include Milton Avery,James Baldwin, Leonard Bernstein, Ta-Nehisi Coates, Aaron Copland, Jonathan Franzen, Meredith Monk, Suzan-Lori Parks, and Thornton Wilder, among over 8,000 others. MacDowell residencies, in all that they provide—the time and space to work, the financial support and interaction with artists and peers, and the early vote of confidence in their talent—are often cited by artists as drivers for their future success. MacDowell has inspired essential contributions to American and world culture. The MacDowell Colony is a leading American contemporary arts organization that provides essential support for emerging and established artists by bringing together diverse, multidisciplinary talent to exchange ideas and pursue creative work. On August 12, 2018, MacDowell Chairman Michael Chabon will present Art Spiegelman with the first-ever Edward MacDowell Medal in Comic Arts at The MacDowell Colony’s campus in New Hampshire. As one of the nation’s leading contemporary arts organizations, MacDowell has awarded the prestigious medal annually since 1960 to an artist who has made an outstanding contribution to American culture. Prior Medal recipients have included Thornton Wilder, Toni Morrison, Sonny Rollins, Aaron Copland, and many others. This year’s selection committee was chaired by Alison Bechdel. Spiegelman’s comics are best known for their shifting graphic styles, their formal complexity, and their controversial content. His graphic novel Maus was awarded the Pulitzer Prize in 1992, bringing comic books out of the toy closet and onto the literature shelves. This free public event attracts over a thousand people and occurs every August. Visitors enjoy a picnic, explore the grounds, and visit open studios with artists-in-residence to hear about their latest work. As media resources continue to shift to free content and fast news, The MacDowell Colony is doubling its Fellowship support to 20 nonfiction writers engaged in deep reporting and complex journalism. By giving more journalists residencies and the possibility of exchanges in a multidisciplinary artistic community, MacDowell is helping them sustain their careers and break new ground for quality reporting that can change the way we see the world. Additional events and programming in both New Hampshire and New York City extend MacDowell’s commitment to supporting artists and Fellows, including MacDowell’s annual National Benefit in New York City, featuring performances that showcase MacDowell Fellows’ work; the New Hampshire Benefit, a highly anticipated event held at the Colony each year that brings together artists-in-residence, MacDowell supporters, and business leaders for an intimate community celebration of art and artists; and MacDowell’s Chairman’s Evening, an exclusive Friends of MacDowell members evening in NYC featuring Michael Chabon in conversation with some of the art world’s most fascinating voices. Community programming includes MacDowell Downtown, a free, public series of presentations by MacDowell Fellows that takes place on the first Friday of the month from March to November in downtown Peterborough, NH. MacDowell in the Schools engages students at all levels throughout the year. Composer Edward MacDowell and pianist Marian MacDowell established the Colony in 1907 to stimulate creativity and enhance expression in American culture. MacDowell Fellows have won 83 Pulitzer Prizes, 827 Guggenheim Fellowships, 101 Rome Prizes, 30 National Book Awards, 30 Tony Awards, 31 MacArthur Fellowships, 10 Grammys, 8 Oscars, and 8 National Medals for the Arts. The Colony was awarded the National Medal of Arts in 1997, and remains the only artists’ colony to have received this prestigious honor. The mission of The MacDowell Colony is to nurture the arts by offering creative individuals of the highest talent an inspiring environment in which they can produce enduring works of the imagination. The sole criterion for acceptance is artistic excellence, which The MacDowell Colony defines in a pluralistic and inclusive way. MacDowell encourages applications from artists representing the widest possible range of perspectives and demographics, and who are investigating an unlimited array of inquiries and concerns. Since the residency’s founding, more than 8,000 Fellowships have been awarded to MacDowell artists. These highly competitive Fellowships, each with an average value of $10,000, are awarded based solely on talent by a panel of distinguished professionals in each discipline. During its first century (1907-2007), MacDowell achieved an unparalleled cultural legacy, having nurtured the work of Benny Andrews, Milton Avery, Ayad Akhtar, James Baldwin, Willa Cather, Michael Chabon, Ta-Nehisi Coates, Aaron Copland, Ellen Driscoll, Louise Erdrich, Janet Fish, Frances FitzGerald, Jonathan Franzen, Osvaldo Golijov, Dubose and Dorothy Heyward, Oscar Hijuelos, Cathy Park Hong, Meredith Monk, Walter Mosley, Dee Rees, Alice Sebold, Studs Terkel, Barbara Tuchman, Alice Walker, Francesca Woodman, and Julia Wolfe. While working at MacDowell, Leonard Bernstein completed his Mass; Aaron Copland composed Billy the Kid; Thornton Wilder wrote Our Town and The Bridge of San Luis Rey; James Baldwinwrote Giovanni’s Room; Willa Cather wrote Death Comes for the Archbishop; Dubose and Dorothy Heyward wrote Porgy and Bess; Virgil Thomson worked on Mother of Us All; and Alice Walker worked on her first novel and Meridian. Michael Chabon wrote The Amazing Adventures of Kavalier & Clay; Alice Sebold wrote The Lovely Bones, and Jonathan Franzen completed The Corrections. More information is available at macdowellcolony.org.